/Getting Started /Miscellaneous /How to Setup Your Portal’s Getting Started Page? 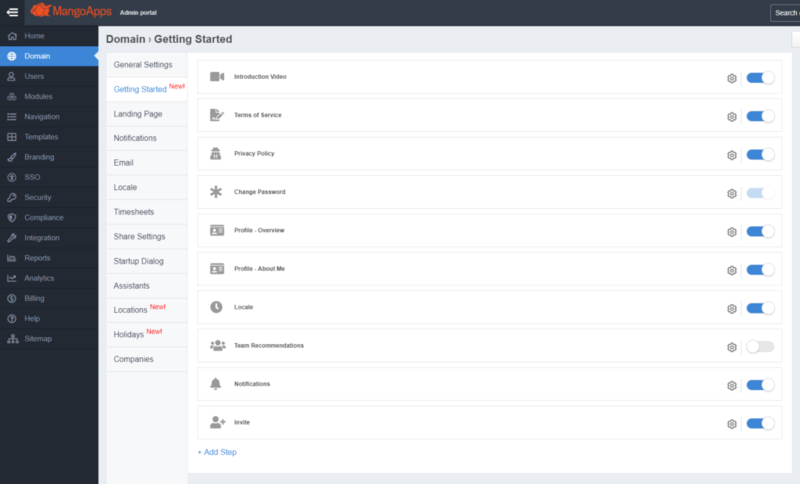 When a user successfully logs into MangoApps for the first time, they are presented with a set of steps to get started with MangoApps. As a domain admin, you can customize this getting started experience for your domain user here. 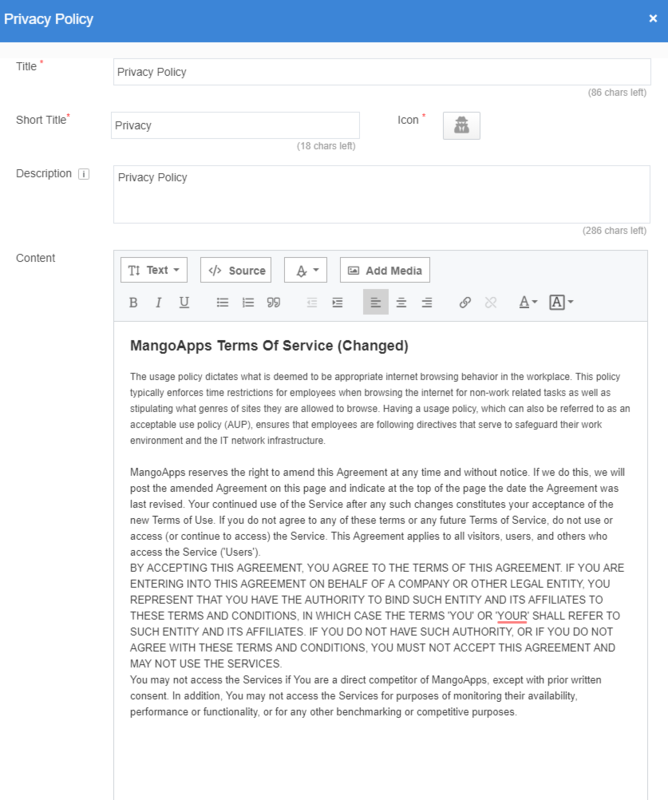 Domain admins can now ‘configure‘ and ‘sequence‘ the steps users go thru’ on their first login into MangoApps. 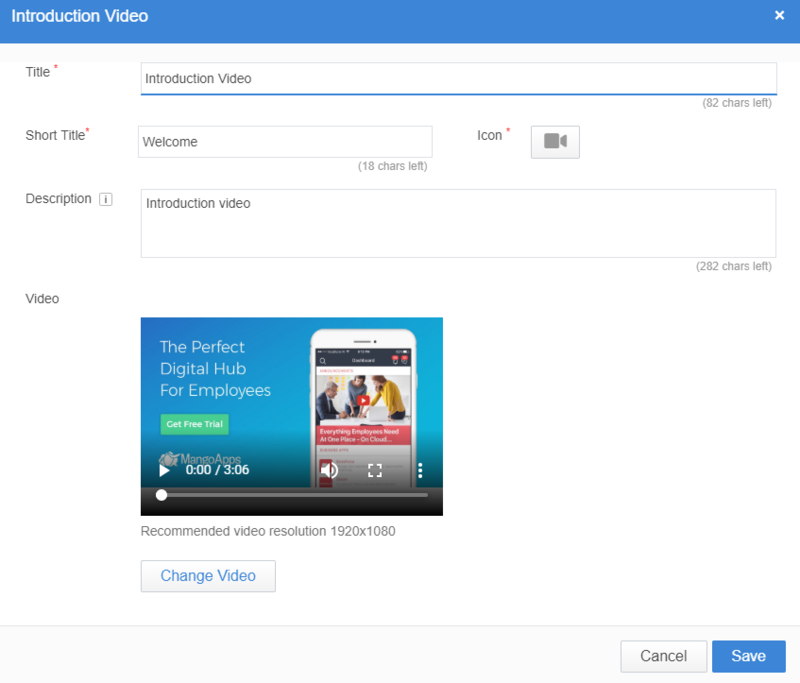 Introduction Video – Allows admin to the ability to upload the introduction video that communicates the welcome onboarding message to the portal. 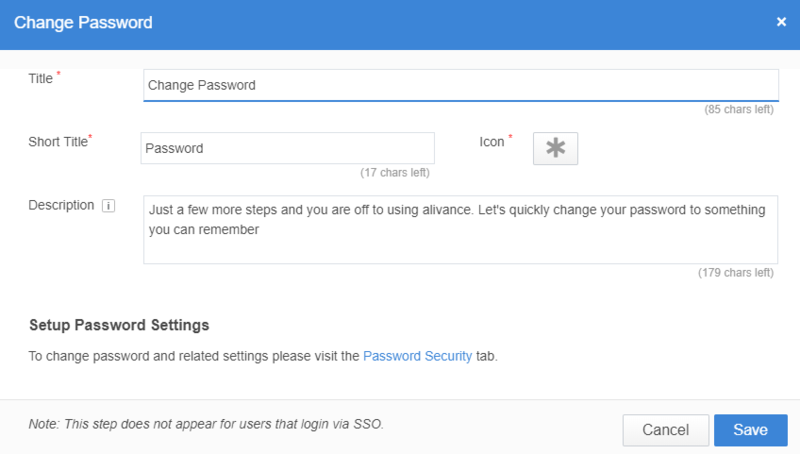 Change password – Allows users to change the default system password. 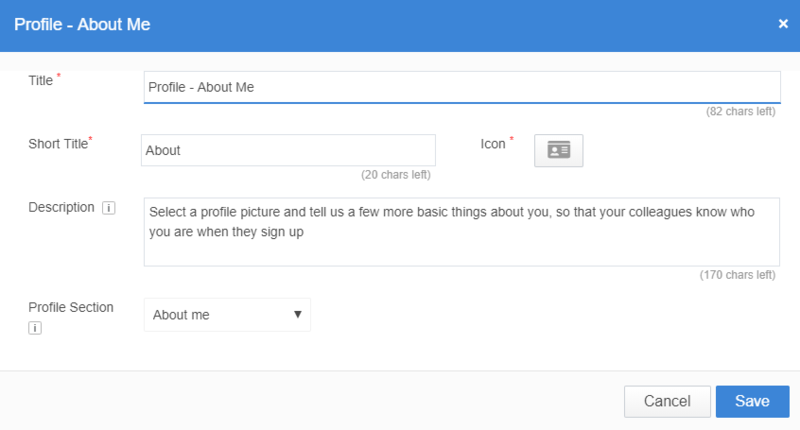 Profile – About me – This section will allow users to update details of the user such as – Alias Name, Skills, Expertise etc. 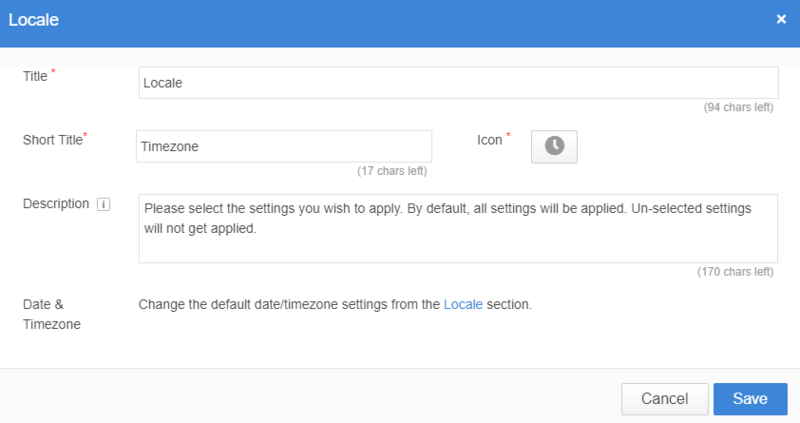 Locale – Users can configure their Local setting such as Default Date Format, Time Format, Time Zone & Language of Choice based on the location where the employee operates in. 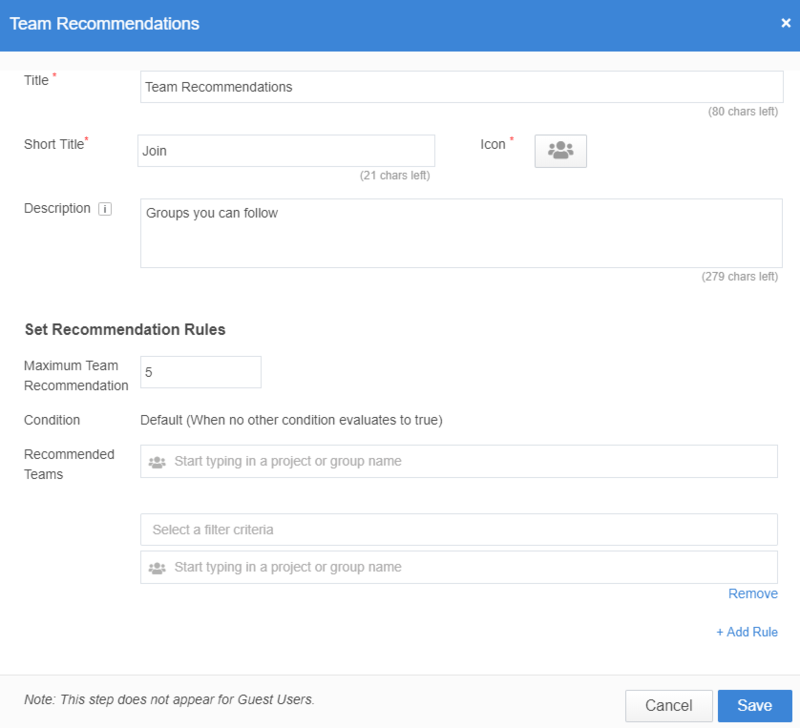 Team Recommendations – Users can join the recommended teams in the portal and the Recommended team listing can be configured from the admin portal. 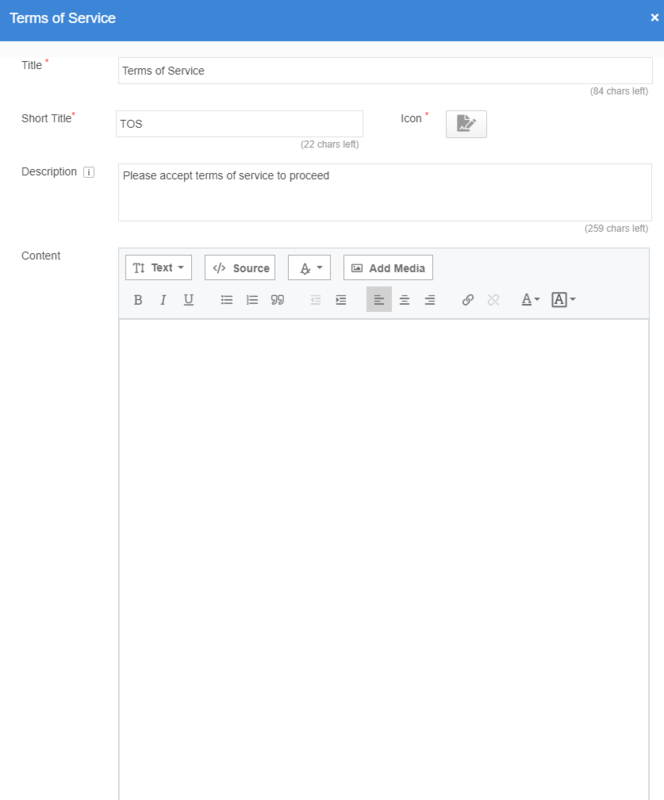 Notifications – Users can configure their personal notification setting on Web, Desktop App, Mobile App & Email. Invite – Users can invite their colleagues to the portal.